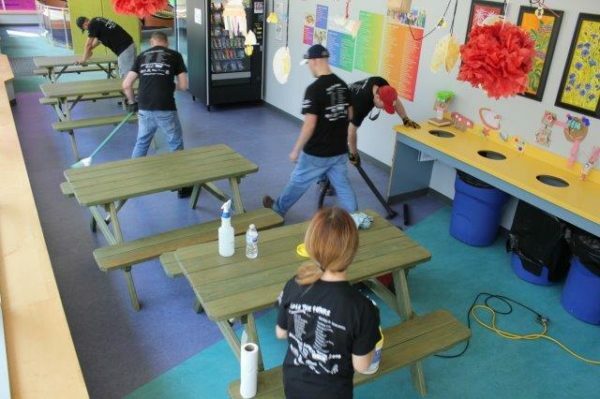 The Kansas Children's Discovery Center hosted a great group of volunteers today from Security Benefit and se2 as part of the United Way of Greater Topeka's Nancy Perry Day of Caring. 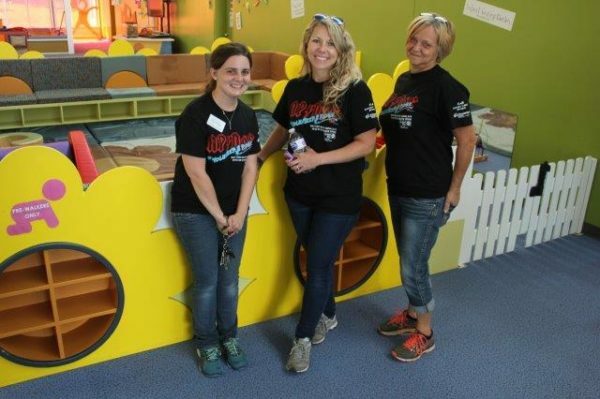 These dynamite volunteers worked both indoors and outdoors to improve our play spaces and make the Kansas Children's Discovery Center a wonderful place for children and their caregivers. 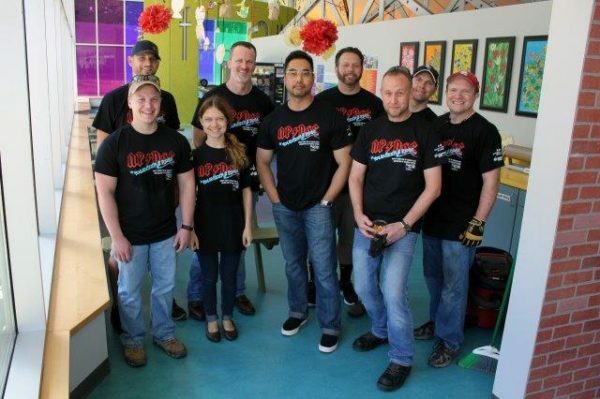 Nearly twenty volunteers gave their time to help KCDC serve local families. Projects included painting the Multimedia Gallery a series of bright colors in preparation for The Pigeon Comes to Topeka! A Mo Willems Exhibit, weeding and cleaning the pond and sand area, pruning garden plants, leveling the zipline area, repainting parking lot lines and bike path arrows, and deep cleaning the exhibit floor. With 15,000 square feet of indoor exhibits and 4.5 acres of Certified Outdoor Exploration Classroom, the volunteers stayed busy! 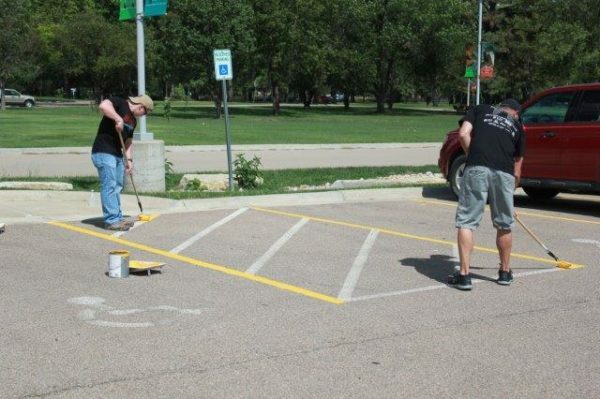 "It was a great group of volunteers," said Draque Carver, KCDC Facilities Manager, "I got a great group of people who could really paint! They got a ton done and they're all excited to come back next year. We really appreciate them." The United Way Nancy Perry Day of Caring sent over 1,000 volunteers from local businesses into the nonprofit community to offer a helping hand. The event takes place annually. The Kansas Children's Discovery Center was one of 28 participating nonprofit organizations.